Python is the most popular programming language for beginners because it's fun, powerful, and easy to learn. So why should your introductory Python book be long and tedious? Python Crash Course gets you up and running with Python, teaching you the basics quickly so that you can solve problems, make things, and do cool stuff. Each chapter explains a new programming concept and includes a set of exercises to help reinforce your new knowledge. 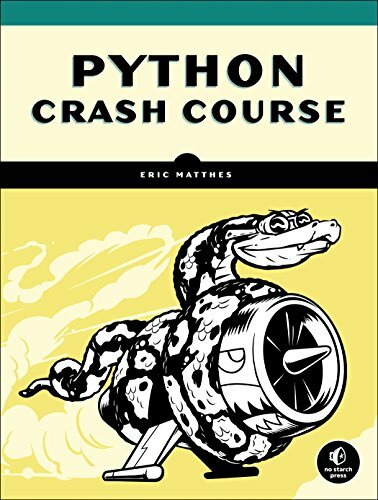 But most important of all, Python Crash Course includes three hands-on projects to put your new programming skills into practice, so it's not just syntax and theory. You'll learn how to create a simple video game, use data visualization techniques to make interactive graphs and charts, and build a simple Web application. Python Crash Course teaches you Python the fun way—it's quick, hands-on, and totally useful.